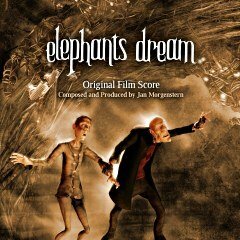 Elephants Dream is an animated short 3D movie that you can watch online, download to your computer or even edit the film content if don't like the original film. This open source film is produced using Gimp and Blender software which are again available for free. Elephants Dream is available under the Creative Commons license so you can hold a public screening or television broadcast of the film, redub it with new dialogue or even change the look of the characters. Just remember to credit the original creators.